Gone are the days where couples have to stick to tradition. Whether it’s their aisle style, ceremony or their wedding photographs, we love the fact that brides and grooms are taking the opportunity to really express their personalities and individual style. 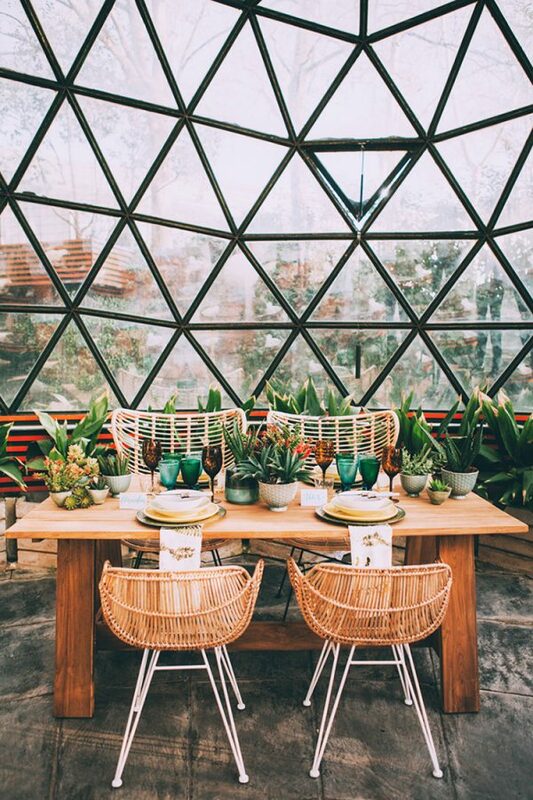 Speaking of new trends and breaking traditions, today we’re talking all about unusual and unique wedding venues, in particular, greenhouses. 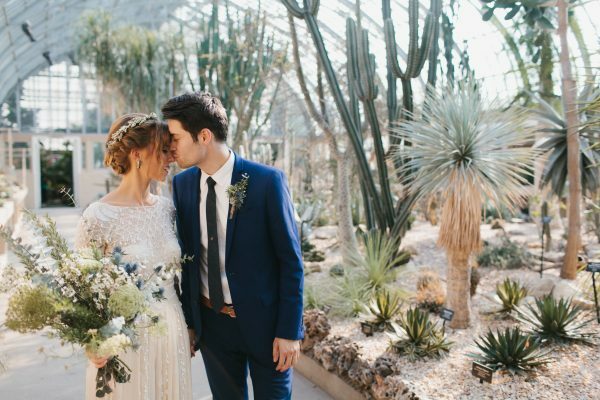 While lots of couples are swooning over the thought of classic castles, rustic barns or cosy pub wedding venues, we love the fact that modern brides and grooms are choosing to say ‘I Do’ in a stylish greenhouse setting. And quite frankly, we can’t think of anything more wonderful than celebrating in a botanical paradise – no matter what the weather! 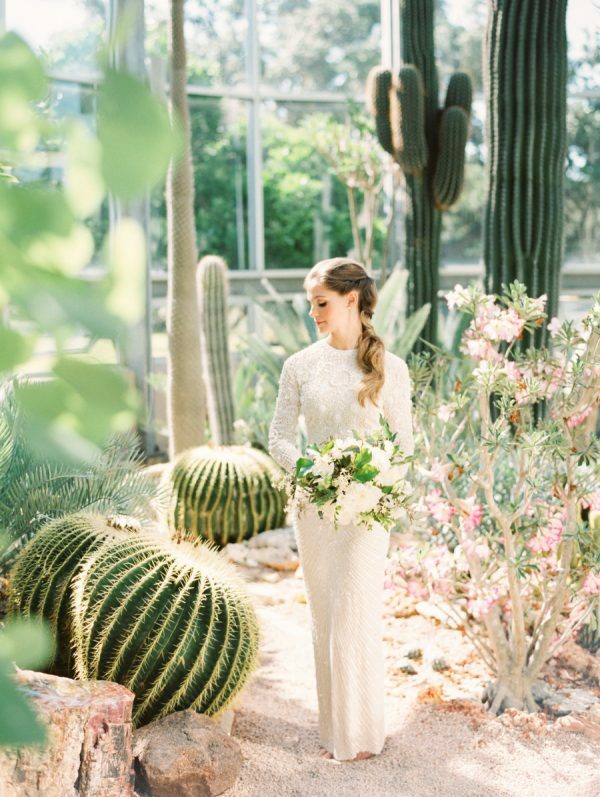 A greenhouse wedding venue provides couples with a true blank canvas for their big day. You can effortlessly create any theme or colour scheme you want to. For instance, add pops of Flamingo pink and neon lights to give your wedding a tropical vibe. Alternatively, you could use lots of chic white and green details for a minimalist affair. Still smitten with the industrial-luxe look? Simply work in lots of concrete and metallic details for that gritty look. If you want something a little more rustic, use lots of wooden elements such as tables, crates, barrels and signage. The choice is yours – get creative and discover a theme that feels perfect for you! 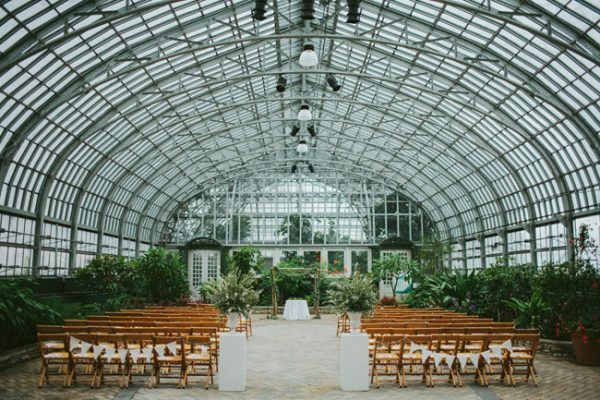 Greenhouses are also great because they lend themselves to both an intimate or extravagant celebration – so if you want 150 guests, don’t fret as you will find that most greenhouses have capacity for larger weddings. You and your guests can celebrate amongst the leaves and plants – you won’t actually need to do too much in terms of décor! There are lots of different types of greenhouses too. From old-fashioned greenhouses with a certain charm and delight, to modern spaces that are filled with an abundance of light. The natural light also means you will have the chance to capture some truly incredible wedding photographs. Your guests will adore celebrating your special day with you in such an unusual location! 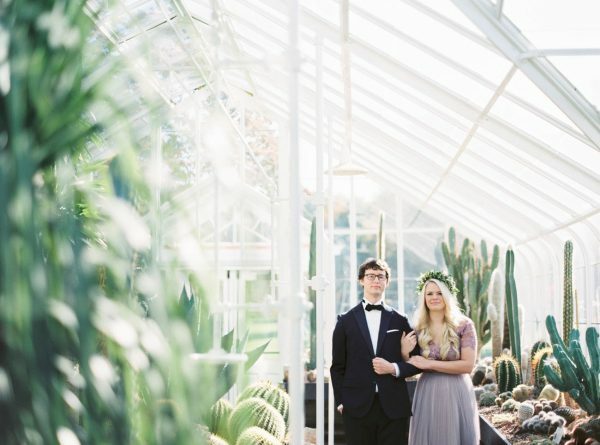 Not only is it seriously on-trend (don’t forget that greenery was Pantone’s Colour of the Year 2017), a greenhouse wedding venue offers you the chance to splash your personality wherever you look. 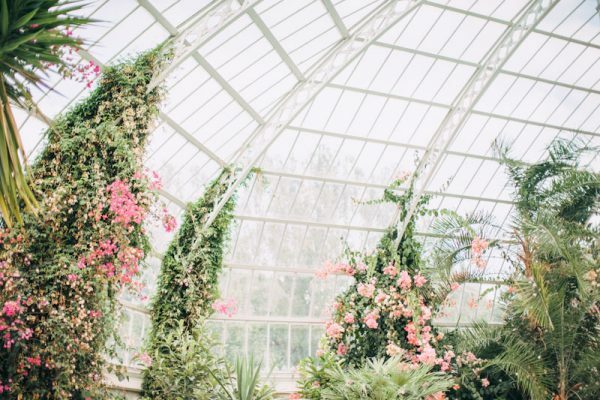 What’s not to love about a greenhouse wedding venue? If you want to find out more about the 2018 wedding trends, head straight over to the blog! 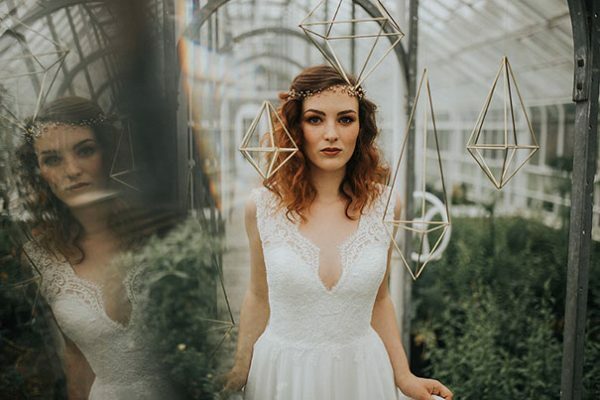 You’ll also find our collection of bridal designers right here, or if you want to book an appointment to try on wedding dresses please do get in touch!